Empirical privacy evaluation in OSNs may provide a better under standing of the effectiveness and the efficiency of the default privacy controls and those customized by the users. 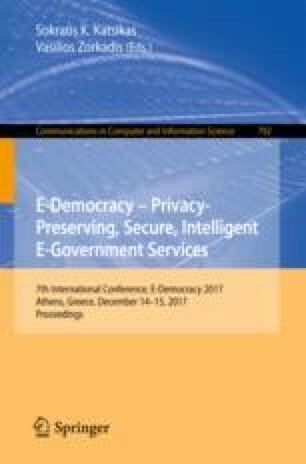 Proper user perception of the privacy risk could restrict possible privacy violation issues by enabling user participation in actively managing privacy. In this paper we assess the current state of play of OSN privacy risks. To this end, a new data classification model is first proposed. Based on this, a method for assessing the privacy risks associated with data assets is proposed, which is applied to the case where the default privacy controls are assumed. Recommendations on how the resulting risks can be mitigated are given, which reduce the risk. The authors acknowledge, with special thanks, the support of the Research Center of the University of Piraeus to presenting this work.